The Committee on Education, Skills and the Economy has today launched an inquiry into careers advice, information and guidance. It will look at issues such as the quality of current careers advice, the effectiveness of careers advice in supporting people into apprenticeships, and how careers advice in schools and college can help match skills with the needs of the jobs market. The committee, created from sub-committees of the Education and the Business, Innovation and Skills committees, will also be holding a separate evidence session in the New Year with Skills Minister, Nick Boles. Mr Boles will be questioned about his role and the effectiveness of the Department for Business, Innovation and Skills (BIS) and the Department for Education (DfE) in working together to increase productivity and economic performance. 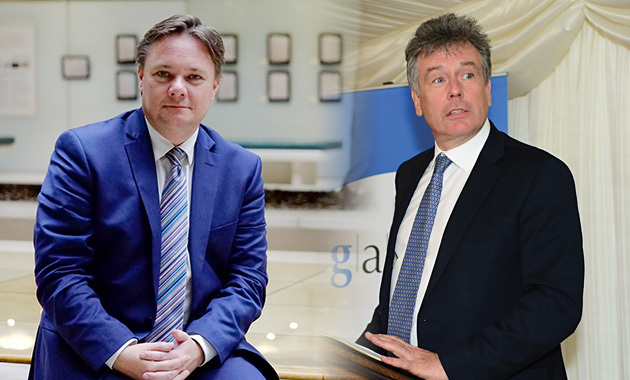 Neil Carmichael, MP for Stroud and chair of the Education Select Committee (pictured above right), said: “Good quality careers advice is exceptionally important but current provision often seems patchy and complex, falling short in providing young people with comprehensive advice about the range of career opportunities available. Iain Wright, MP for Hartlepool and chair of the Business Innovation and Skills Select Committee (pictured above left), said: “Ensuring young people have access to good quality careers information, advice and guidance is crucial to social mobility. The inquiry will focus in particular on developments since the publication of the Education Committee report Careers guidance for young people: The impact of the new duty on schools, in 2013. The Committee is inviting submissions on a range of points, including the quality and impartiality of current provision and how careers advice in schools and colleges can help to match skills with labour market needs. Other topics include the balance between national and local approaches to careers advice, careers advice and apprenticeships, and the potential for employers to play a greater role in careers advice. The role of the new Careers and Enterprise Company and its relationship with other bodies such as the National Careers Service will also be considered. In December 2014, Education Secretary Nicky Morgan proposed the creation of the Careers and Enterprise Company, to help schools fulfil their statutory duty to offer careers advice by brokering relationships between schools and employers. It was followed in March this year with the Education Select Committee calling for careers advice to be “high up the agenda” in the next parliament, in a review of work over the past five years. In July, management consultant and former adviser to Tony Blair, Claudia Harris, was appointed to lead the Careers and Enterprise Company, and in September the company announced the roll-out of its piloted system of ‘enterprise advisers’ to go into colleges and schools. Education Secretary Nicky Morgan said the nationwide roll-out of the network was “a significant milestone” that showed a commitment “to giving young people across the country a first-hand insight into the world of work”. The new Committee on Education, Skills, and the Economy comprises fourteen members from from both the Education Committee and Business, Innovation and Skills Committee. It is co-chaired by Mr Carmichael and Mr Wright.